Today’s story is brief, but very powerful, especially if you’re someone who may think you’re “too old” to try your hand at creating some kind of art. I read the novel The Guernsey Literary and Potato Peel Pie Society a couple of years ago. The story itself is great, with an entrancing setting, colorful characters, and strong storyline that addresses the horrors of the Second World War and the mundanities of daily life in early 20th century England all at the same time. For the record, I think you should read this book. What has really stuck with me, however, is the story of the main author, Mary Ann Shaffer. Mary Ann Shaffer was a wife and the mother of two daughters. She spent a lifetime as a book lover, working as a librarian and bookseller, and working for Harper & Row, eventually as an editor. Shaffer became interested in the German occupation of the Guernsey islands during a trip there in 1976. Many years later, at the prodding of her book club, she began writing what would become The Guernsey Literary and Potato Peel Pie Society. At the age of 71, Shaffer was able to fulfill her lifelong dream of “writing a book someone would like enough to publish,” when her novel was sold to Dial Press and, subsequently, several foreign presses. Unfortunately, Shaffer became very ill with cancer as her book neared it publication date, and she requested the help of her niece Annie Barrows, also an author, to help her finish revisions of the final manuscript. 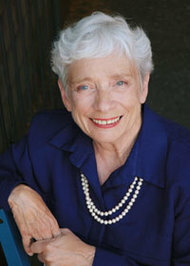 Shaffer died in February 2008, having seen her book published in translation in the Netherlands and knowing that it was soon to be published in the United States and around the world. I suppose you could see this story as a tragedy, with someone waiting too long to pursue her life’s dream and not getting the chance to see the results. What I see, though, is a triumph. By all public accounts of a woman who lived a fairly private life, Mary Ann Shaffer had a fulfilled life already. Plus, she had family and friends supporting her from the beginning stages of writing to seeing publication through. She had the space and time for an incredible creative process, to research her novel thoroughly, and to write an engaging story about a time and place that is not well known. Writing a novel to be published around the world? That was some pretty sweet icing on the cake. I hope that Mary Ann Shaffer’s story, along with Mary Delaney’s, show that it is never too late to start making your art, to start your creative work. If you were to start or dig deeper into a new creative process today, what would you do?